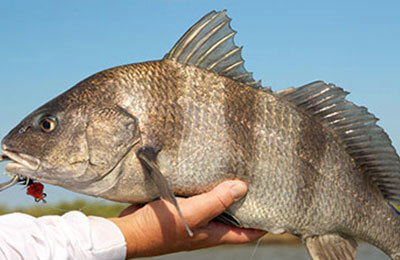 Habitat: Black drum are an inshore fish common to bays and lagoons. They are bottom dwellers and often found around oyster beds. Black drum may also be found offshore. Behavior: The largest member of the drum family, black drum spawn near-shore in the winter and early spring. They feed on oysters, mussels, crabs, shrimp and occasionally fish. Black drum may live to 35 or more years.